Hurricane Irma presented an interesting problem to Catherine Edwards and other glider operators in the Southeast. 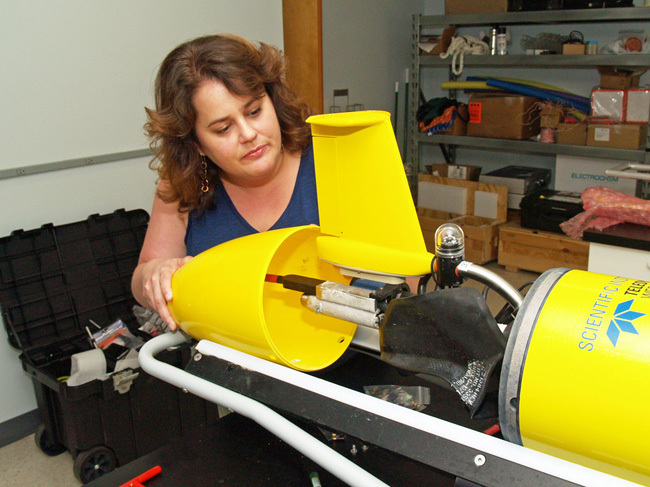 They had several gliders deployed off the east coast as the hurricane approached, including Skidaway Institute’s glider, “Modena.” Catherine and the others were confident the gliders themselves would be safe in the water, but the computer servers that control them would not. The gliders are equipped with satellite phones. Periodically, they call their home server, download data and receive instructions for their next operation. It was expected that Skidaway Institute would lose power for at least several days (as did happen.) However, Skidaway’s back-up partner at the University of South Florida’s marine science facility in St. Petersburg, Fla. was also directly in the storm’s projected path. “In the week before she hit, Irma sort of blew up our hurricane emergency plans,” Catherine said. Several other options, including Teledyne Webb’s back-up servers and Rutgers University were not feasible for technical reasons. Glider operators at Texas A&M University came to the rescue. Catherine was able to instruct Modena to switch its calls over the Texas A&M server. No data was lost and Modena continued its mission. According to Catherine, two big lessons emerged from the experience. 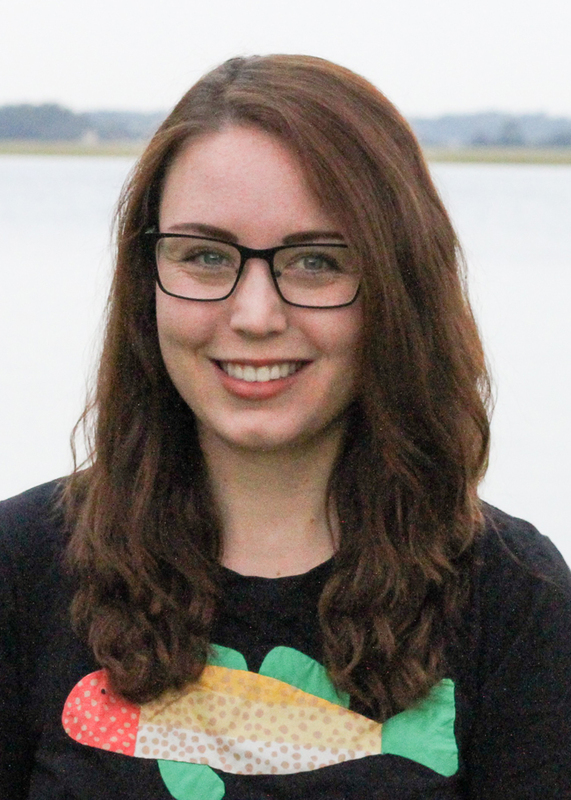 LuLu Lacy is a new intern in Marc Frischer’s lab. She is a UGA ecology major with a minor in studio art. 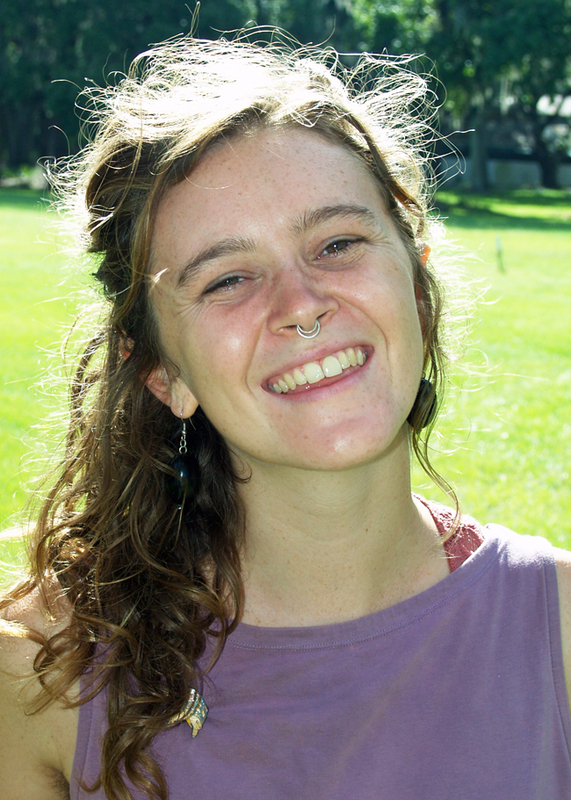 She has a wide range of experience outside of the classroom, including an independent research project at UGA’s Costa Rica campus; working as a landscape arboretum fellow for Trees Atlanta; and tending crops on an organic farm. She is a founder of the Athens Free School – an initiative to create a monthly calendar of free classes taught by volunteers in the Athens community on various subjects from bread making to bike maintenance. 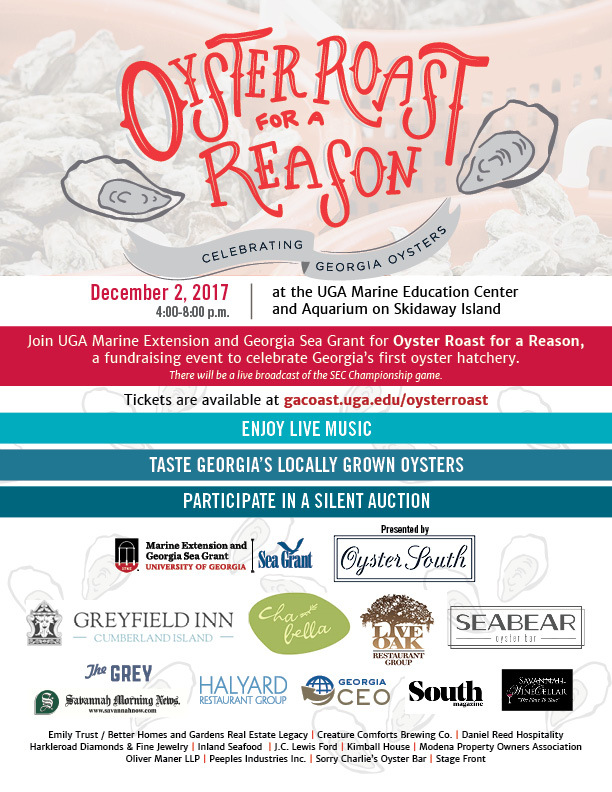 Four recent college graduates have been awarded one-year education internships with UGA Marine Extension and Georgia Sea Grant. 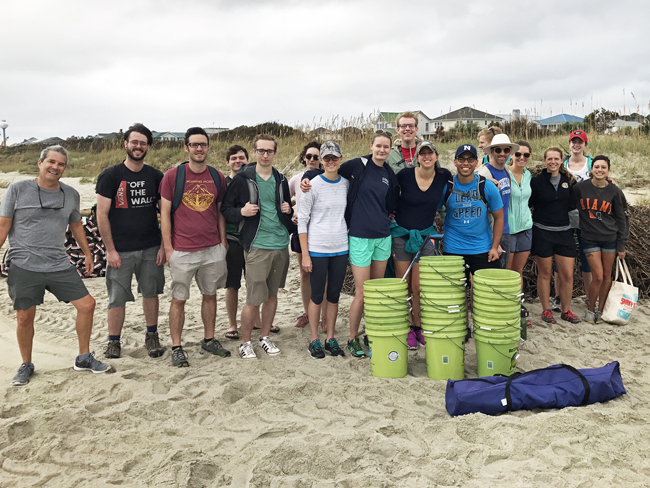 Funded by Georgia Sea Grant, the interns will serve as educators for students, teachers and members of the coastal community. 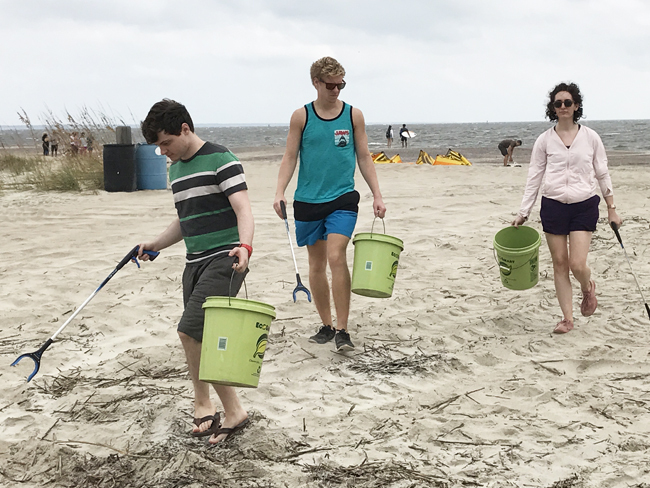 The interns will spend 50 weeks on Skidaway Island at the Marine Education Center and Aquarium offering educational programs focused on the ecology of Georgia’s coastal and estuarine ecosystems. 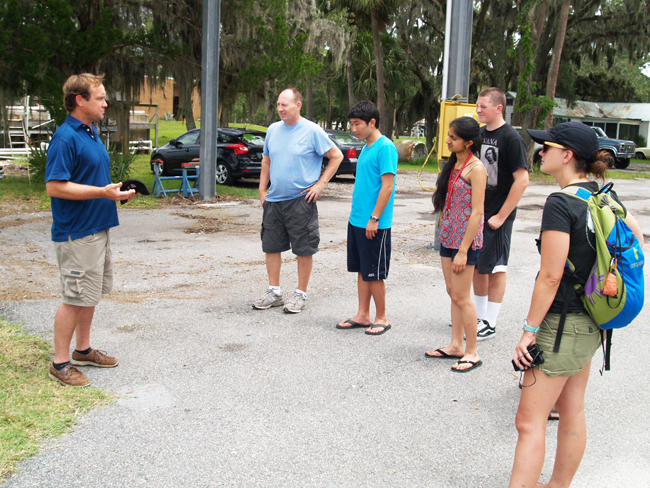 They will also participate in community outreach by attending events like CoastFest and Skidaway Marine Science Day. They began their training in September just as Hurricane Irma was bearing down on the coast, which presented a unique opportunity for them to learn how to prepare the aquarium for evacuation. 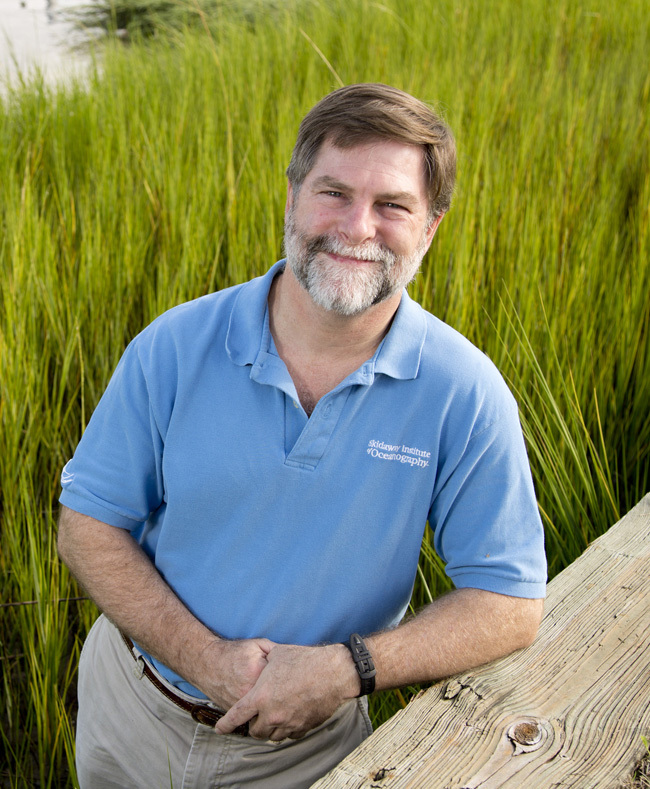 With Irma now in the rearview, the new educators get to shadow Marine Extension and Georgia Sea Grant’s faculty and staff and gain the skills they need to teach all of the classes offered at the center. Isabella Espinoza graduated from Boston University with a degree in biology, specializing in behavioral biology. For the past two summers, she worked with the Brookline Recreation nature camp in Massachusetts. The camp focuses on local nature education for all ages and has an outdoor adventure component for the older age groups. She also worked as a learning assistant in a vertebrate zoology lab course at Boston University. The course focused on the adaptations and life histories of species from the major vertebrate groups (fish, amphibians, reptiles, birds and mammals). 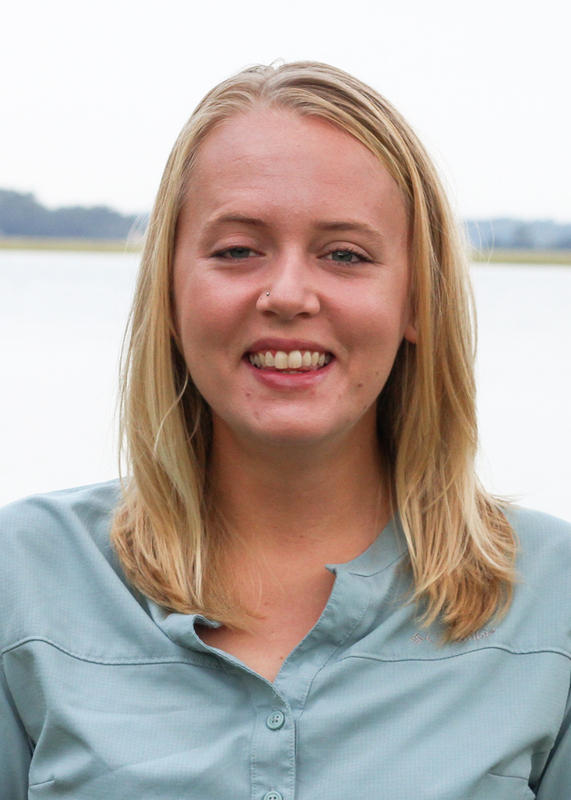 Victoria Green is from Ormond Beach, Fla. She graduated from Duke University with a degree in earth and ocean sciences and a certificate in Marine Science Conservation and Leadership. 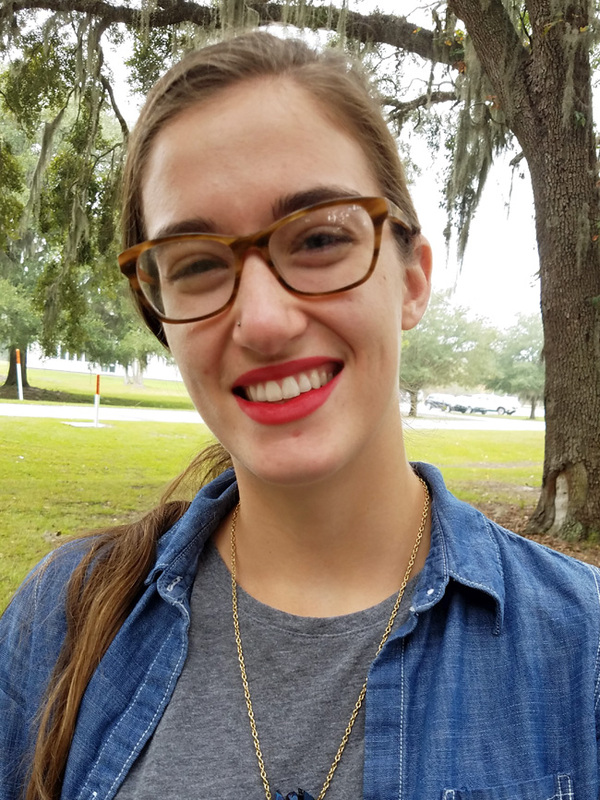 She studied at the Duke Marine Lab in Beaufort, N.C., and at Seacamp in the Florida Keys. 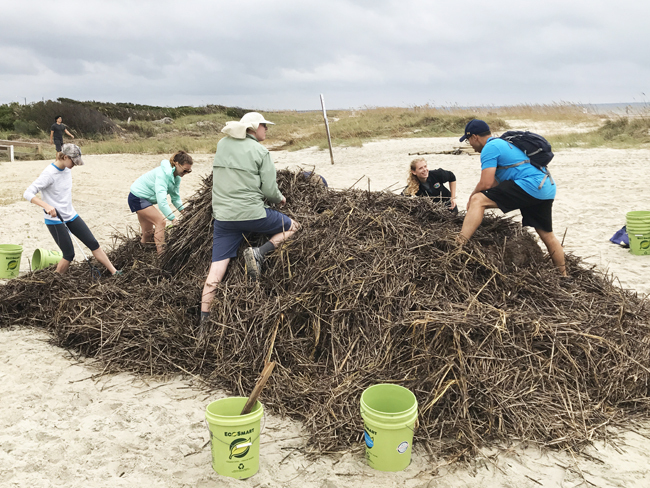 Through these experiences, she’s learned to take complicated marine science topics and translate it into information that K-12 grade students can absorb. 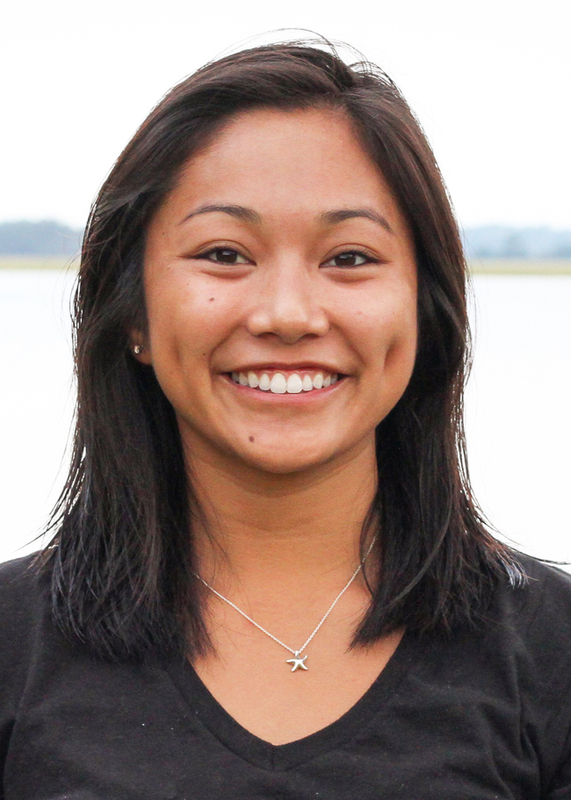 Mandy Castro is from San Diego, Calif. She graduated from Smith College in Northampton, Mass., with a degree in biological sciences and a minor in education and child studies. 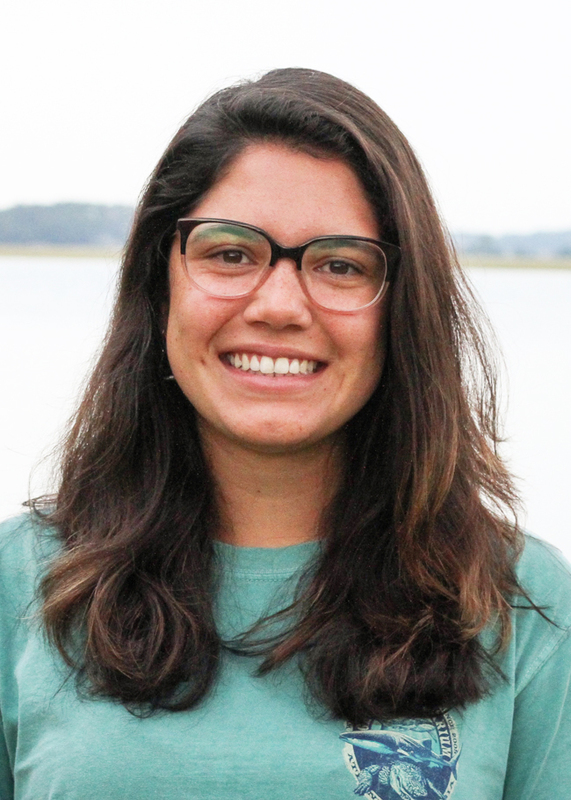 For the past three summers, she has been part of a team of Smith College student educators teaching marine science and conservation to local school children in Belize. While in Belize, she also collected data for her honors thesis, which focused on characterizing hard and soft corals of Mexico Rocks, a marine protected reef complex north of San Pedro. Megan Wilson is from Salt Lake City, Utah. In high school, she began volunteering and interning at the Living Planet Aquarium, Utah’s only aquarium. She graduated from California State University in Long Beach with a degree in marine biology. In college, she conducted undergraduate research on the metabolic rate of the California horn shark. She also raised jellyfish while working for Sunset Marine Labs and acquired her environmental education skills while working in the education department at Cabrillo Marine Aquarium, Calif.